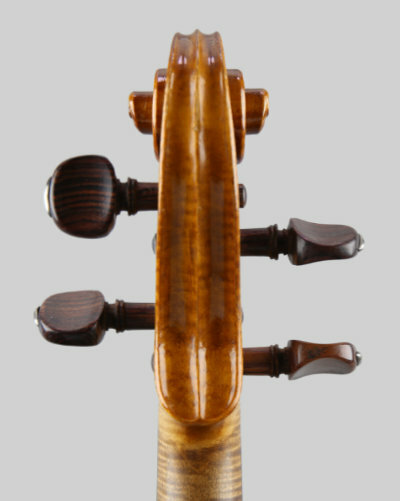 The violin is also branded Caressa et Français Paris inside on the front and back, on the upper and lower bouts. 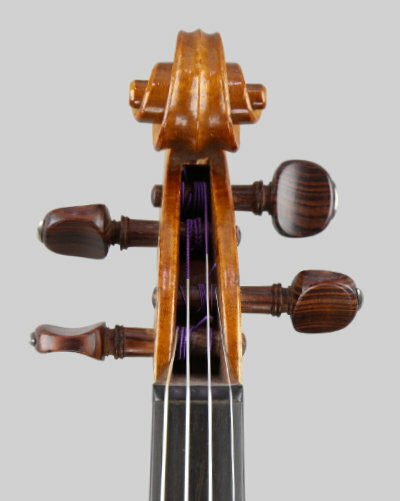 A beautiful violin made by one of the top Paris partnerships of the period. Albert Caressa was born in 1866 and Henri Français in 1861. They became successors to the business of Gustave Bernardel in 1901. Between them they won numerous medals for their work, including Liege1905, Milan 1906, London 1908, Brussels 1910 and Turin 1911.This example of their work is in superb condition with just the smallest of blemishes. The one piece back is 14.1/16 inches long (35.7 cm. The fittings are in ebony except for the original gold capped rosewood pegs, set up with Obligato strings and supplied in a new light weight case. This instrument has a lovely rich tone with a real touch of class, with good balance and lots of power. 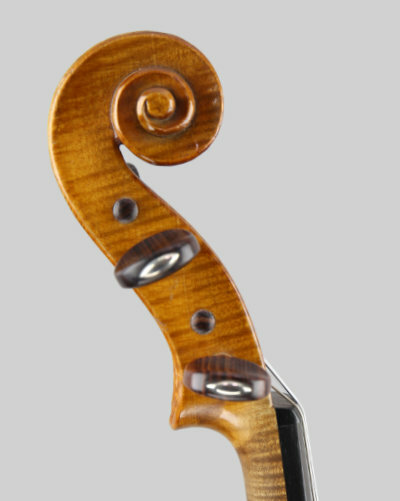 A superb instrument of quality and character, highly recommended!